Princess Marathon – Onward Hoe! So I know I haven’t mentioned it in a while, and some of you probably thought I’d given up on running, but L-Josh and I went for a run this very morning. It was hot. We were extremely sweaty. And there was some sort of corporate bonding going on the whole time, which meant about 60 people in khaki shorts and brightly colored company t-shirts cheering under one of the shelters. For a while there, we didn’t know what was going on. When we arrived, they were just loudly singing “Get Down Tonight,” but by the time we got all the way around the track to where they were, they were in groups based on the color of their bright t-shirts, cheering. We thought maybe they were just cheering to see who could cheer the loudest, and, I don’t know, that could be the case. On our second go-round, they were getting organized to play a silly game, and I asked Josh if she thought we could jump in unnoticed, but (a) we weren’t in khaki shorts, (b) we weren’t in obnoxiously bright t-shirts, and (c) we were noticeably sweatier than any of them were. But right about that time, it started to rain, and since we were finished with our run anyway, we just cut through the grass back to the car. Oh well. So we did Day 1 of Week 3 of the Couch to 5k training, which was hard, but mostly because I hadn’t run in about a week, and it was so unbelievably humid, which made it kind of hard to breathe. I think when I do Day 2, it’ll be easier (especially if I do it on the treadmill at the Y that has the personal fan). I’m not exactly on track to finish the whole program before the “Run the Quay” 5k on June 4, but I’ll be darn close. Close enough to fake it, I think. And THEN I’ll start training for this 10k in Wake Forest that helps kids go to camp! CAMP!! Y’all KNOW I’m behind that all the way! And after that, I’ll have five months or so to prepare for the Disney Princess 1/2 Marathon! Right now, it all seems surprisingly possible. I shall keep you apprised of my progress. No, I don’t think I’m going to lose 30-50% of my body mass this year. That would be a little frightening. But as you know, I do have a long-term running/training plan in place to get me ready for next year’s Disney Princess 1/2 Marathon, and I figure if I lose some weight in the process, so be it. This here is an update on my progress. You know, for anyone who cares. I finished up Week 2 of the Couch-to-5k training today, and while the first two days were surprisingly hard, today was noticeably easier. I was actually able to run and walk faster as I got closer to the end of the workout. 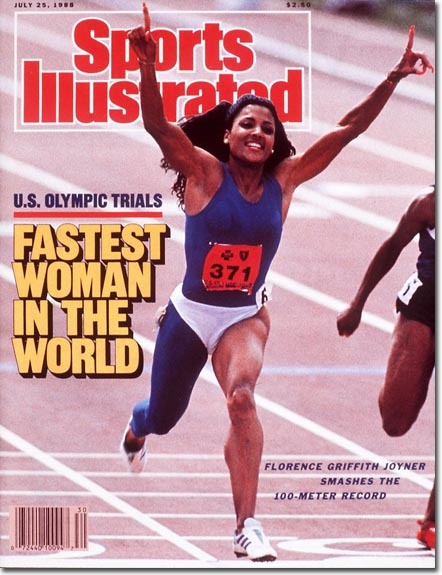 I mean, I’m still no Flo-Jo. Shoot, I’m not even my friend Sally, who runs nine-minute miles (I’m still closer to 12). But I’m getting better. Incidentally, I’m also working on a one-legged spandex getup to wear to the Y. But I’m just going to fill my mind with images of gazelles and my ears with music and the encouragement of Chubby Jones, and I know I’ll be just fine.